Deccan Rummy is always committed to providing its players a fair and enjoyable gaming experience. We take the rules seriously and have deployed enough security measures to ensure fair play. We want to absolutely ensure that the rules are not bent by anyone for their comfort. While we understand many of our customers adopt responsible gaming, we also find a small proportion of customers who do not. In compliance with the Indian laws and also taking into consideration player safety, we have implemented the Responsible gaming clause that every user must follow. Deccan Rummy offers fair, transparent and secure gaming environment for all our customers. We respect their patronage and always reach out to them in needs. Deccan Rummy ensures fair Play & fast Pay – SSL certified to establish a secure encrypted connection. Certified RNG has been implemented to ensure non-repeatable & unpredictable card sequences. 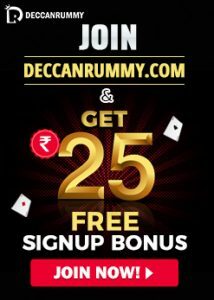 Your search for a safe online rummy site ends with Deccan Rummy. 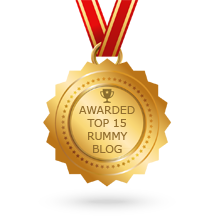 The issue of collusion is always a hot topic among the Rummy Community. Collusion can be defined as secret agreement or cooperation, especially for an illegal or deceitful purpose. Game Collusion crushes the spirit of the players who join us with lots of ambition and makes them abort the site altogether. Deccan Rummy has religiously enforced anti-collusion policy right as collusion could ruin the game. Colluding with other registrants and participating in tournaments or games is considered a form of cheating and it is strictly prohibited. If we detect an act of cheating or colluding, our Company has the right to withhold the Cash Balance in your Accounts and to cancel and close the Accounts without any communication to you. 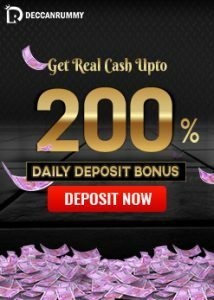 According to our site’s policy, one user is allowed to open only a single account at Deccan Rummy. If it is found that a player is holding more than one account, then we reserve the right to terminate multiple accounts or even ban the player holding such accounts. We insist our players set a time limit for playing online rummy. Deccan Rummy also insists our player not to exceed their budget allotted to playing rummy games. Do not be a spendthrift and overindulge in the game. We request our players to avoid wagering on rummy games when they are under stress, or depressed. Consumption of alcoholic beverages while playing online rummy is not recommended as you may exceed your budget being under an inebriated condition. Players can take a break and start afresh if they are on a losing spree. 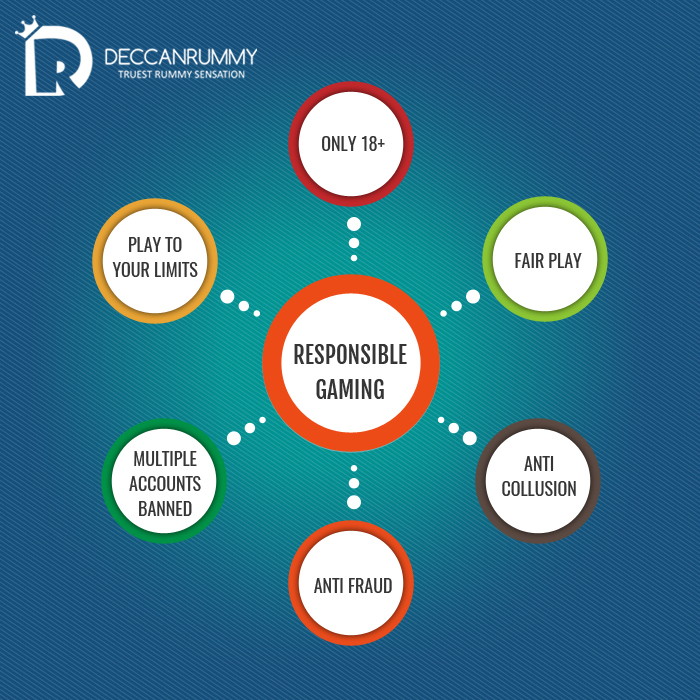 Deccan Rummy has implemented strict measures to prevent any fraudulent activities happening in our rummy tables. We have a monitoring team who keep a close watch on all the rummy tables so as to detect and prevent any fraudulent activity. If there is sufficient evidence of a fraud, we ban the players carrying out such activities.